Having been there for the World Championships of Irish Dance I found the food options just perfect and very reasonably prices. Where to find High Point hotels near an airport? Where can I find hotels in High Point that are near tourist attractions? Tourists in Greensboro who are looking for a place to stay in and around High Point have plenty of options from which to choose. High Point offers about 17 hotels and apartments within a 0.1-kilometre (0.06-mile) distance of the heart of town. 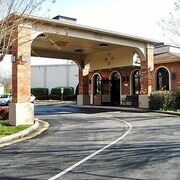 High Point features some handy lodgings, including the Radisson Hotel High Point and Atrium Inn. The Biltmore Suites Hotel, Motel 6 High Point and Quality Inn could be good hotel choices for those seeking economical hotel accommodation. Check out the Proximity Hotel or the O.Henry Hotel. The Proximity Hotel is 20 kilometres (14 miles) from the middle of High Point. The O.Henry Hotel, is positioned 20 kilometres (13 miles) away. Another option is to make a booking at the Homewood Suites by Hilton Greensboro Airport or the Grandover Resort Golf and Spa. After you have got to know High Point, you could set out visit more of the Western Piedmont area. If you're a nature lover, be sure to explore Western Piedmont's foothills and tablelands. 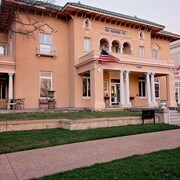 In addition you could go to the area's historic mansions and history museums. Fun-loving travelers can also try hiking, cycling and shore fishing here. 55 kilometres (33 miles) from High Point is Downtown Greensboro, which features the Elon University. Burlington offers some comfortable places to spend the night. You might like to also visit Downtown Greensboro, which is home to the Elsewhere. Downtown Greensboro is found 25 kilometres (14 miles) to the northeast of High Point. The Greensboro Marriott Downtown and The Biltmore Greensboro Hotel are comfortable places to stay in Downtown Greensboro. Before you say goodbye to Greensboro, why not make sure you experience some local sport. Visit Charlotte Motor Speedway to the southwest of High Point. Stay nearby to the action at the Great Wolf Lodge Concord Charlotte or the Embassy Suites Charlotte-Concord/Golf Resort & Spa. 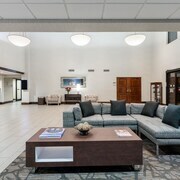 If you are flying into or out of Piedmont Triad International Airport and choose to stay nearby try Embassy Suites Greensboro Airport or Residence Inn by Marriott Greensboro Airport. What are the most popular High Point hotels? 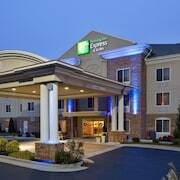 Are there hotels in other cities near High Point? 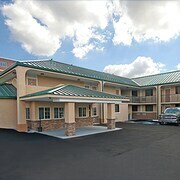 What other types of accommodations are available in High Point? Explore High Point with Expedia.ca’s Travel Guides to find the best flights, cars, holiday packages and more!